The Maternity Leave Coach | Page 3 of 5 | ...when you're expecting to return to work. 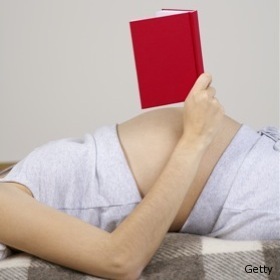 The words “morning sickness” conjure up so many things for me. Had a documentary film crew been following me through the first 5 months of my pregnancy they would have had several opportunities to achieve cinematic greatness as they chronicled my plight. To start, there was this overwhelming smell of cigarette smoke everywhere I went and my resulting disgust that those close to me must surely be sneaking some cigs when I’m not looking. How dare they lead a secret, unhealthy lifestyle without checking with me?! Come to find out, that was actually the first weak signal that I was pregnant and it wasn’t cigarette smoke but an intense ability to sniff out mold and mildew in any location. Go figure. Sorry Steve for all the finger wagging that you endured even though you had never smoked in your life! This week was Spring Break in our neck of the woods. It’s wonderful that my son got to spend the week with his grandparents. He had a blast and I can’t wait to see him later this afternoon. On paper, this would have been a working mother’s dream! No kid activities after work. No guilt when you stay at the office just a bit longer to finish a report. Date nights with your husband. By now you may have already seen the infographic from TakePart.com. I’d love to hear your comments. My pals at LiberatingWorkingMoms recently wrote about “mommy brain” and it sparked some reflection on my part about how my pregnancy and now everlasting mommy brain has impacted my work. Overall, it’s been a good thing if you don’t count the really stupid stuff I’ve done. If you want to get all scientific about it, there is a great book by Katherine Ellison called The Mommy Brain that makes the argument that women can actually get smarter as a result of having children. So I guess the Octomom is a genius?!? Notice: I must warn you that the photo included with this post is intended for mature audiences. The feet shown are my actual feet and are indicative of a 50+ lb weight gain during my pregnancy. The story of these big feet is true and thankfully all involved are still living to tell the tale today. Last week my son was sick so I stayed home from work with him. I had such grand visions of all the things that I would accomplish on my day as a stay at home mom. I have always fancied that if I stayed at home my house would be so clean and I’d be so fit and cute all the time. Maybe I’d wear a little black track suit to go pick my son up from school (with Starbucks in hand) after my book club at Barnes and Noble. I’d also work on volunteering at the school and Fridays would be the day I ran copies for teachers in the workroom. On those days I’d wear skinny jeans and a hip scarf with some jewelry I got from my neighbor who sells Silpada. Scary how detailed the fantasy was. I’m just odd. As a creative, outgoing person I am outside the norm of my introverted engineery co-workers. I’m female. Probably 85% – 90% of the workforce in my organization of 5,000+ is male. Usually my radio is tuned to NPR and I listen to it every day during my commute to and from work. I really enjoy it and there are some days where I just sit in the parking lot at work while I’m getting all teared up over a Story Corps story. Contrast that with the fact that the most played song on my iPod is “Peter Piper” by Run DMC and you’ll understand a little more about what makes me tick. Anywho… I didn’t get to hear this interview live but I ran across it on the web. The Wage Gap Between Moms, Other Working Women : NPR. In this interview host Michel Martin discusses the gap between working mothers and other working women with University of New Mexico economist Kate Krause; Dina Bakst of A Better Balance, a workplace rights organization; and Dawn Porter, founder of Trilogy Films and a mother of two. A recent study by Karen Christopher, an associate professor of Women’s/Gender Studies and Sociology at the University of Louisville, showed that the working women who were surveyed would work even if they didn’t have to. 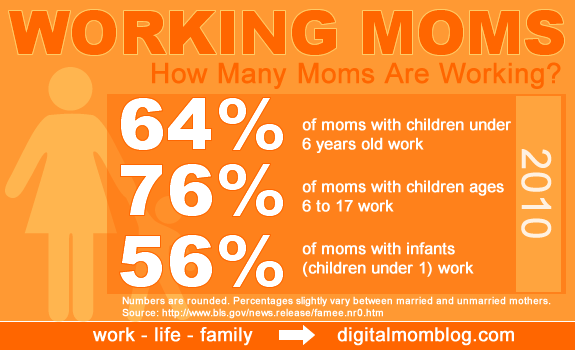 I’d be interested to hear from other working moms to see if they agree with the study’s findings. Take a look at the summary of the study and weigh in. This weekend my son and I went to visit my grandparents – Richard and Liz (aka Paw Paw Richard and Maw Maw Bebo) – in Lake Charles, Louisiana. They had celebrated their 85th (Richard) and 82nd (Liz) birthdays earlier in the week and it was wonderful to spend some quality time with them. I had some good chats with my grandmother and I shared about the blog and how I’m hoping to support moms who are struggling with the juggle of work and home. I can’t ever remember my grandmother not working. As a matter of fact she takes pride in the fact that she still maintains a separate “business account” for the sewing she does for family and friends. I asked her about her experiences as a working mother and here’s how the general conversation went. Me: So Maw Maw, was it hard for you to work and also have four kids at home? Liz: It was a lot to manage but back then we had help at home and we had wonderful women who would come to the house to be with the kids and keep the house in order.